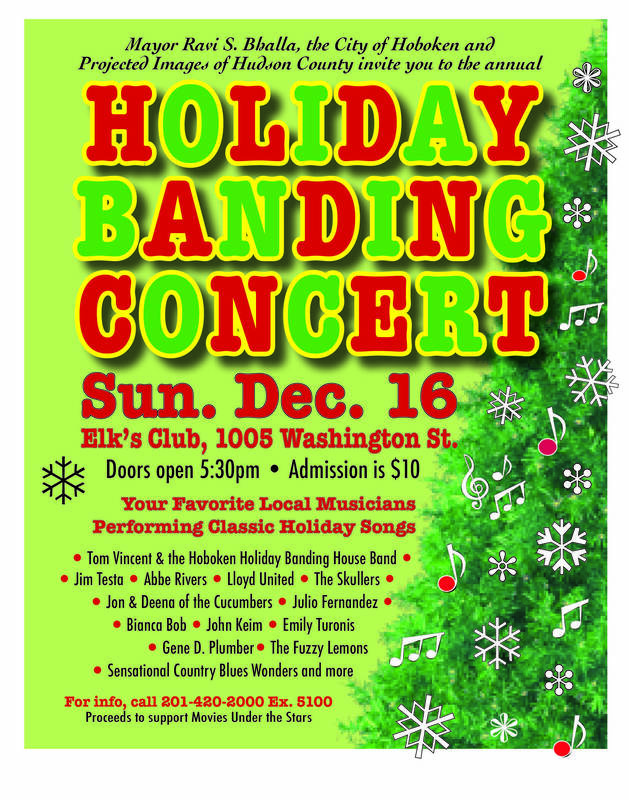 Hoboken Elk's Club, 1005 Washington St. Hear some of your favorite, classic, holiday songs performed and reformed by your favorite local musicians.There are sure to be some new originals as well. Featuring performances by:Abbe Rivers, The Skuller, Deena & Jon of The Cucumbers, Lloyd United, Annalee Van Kleeck, Bianca Bob, Gene D. Plumber, The Fuzzy Lemons, The Sensational Country Blues Wonders, Emily Turonis, Bianca Bob, Jim Testa, Tom Vincent and The Hoboken Holiday House Band and many more.